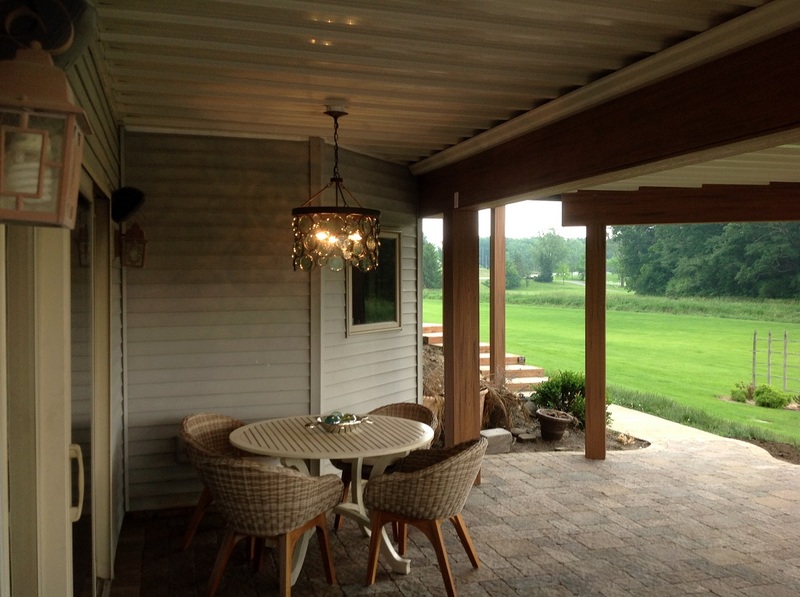 Archadeck of Fort Wayne Designs Patios That Soothe, Excite and Wow! There is nothing like a warm Fort Wayne, Indiana, day spent on the patio – and trust me, patio season will be upon us sooner than you realize. Will you be patio ready? If not, Archadeck of Fort Wayne can help you get there. Spring, summer, fall … any season is patio season if you don’t have to wear a heavy coat to enjoy the outdoors. Whether you’re in Columbia City, Fremont or Ashley, IN, you know a good patio day when you see one. And whether you’re in Fort Wayne, Hamilton or Auburn, IN, you also know a good patio when you see one. 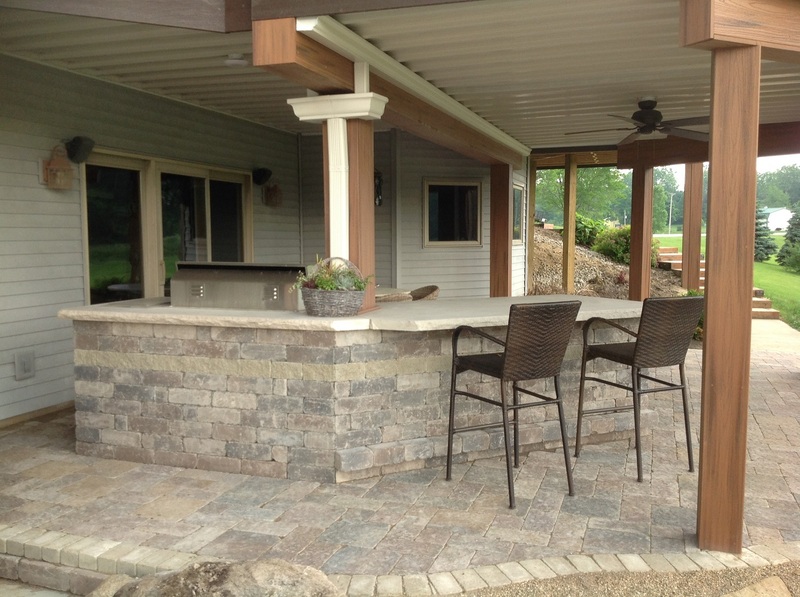 We’re on a mission to custom design and build the best possible patio specifically for your home. During our design consultation, we’ll look at the setting for your new patio. We’ll talk about the various kinds of patio materials available, and we’ll learn about your preferences. — This paver patio is part of an outdoor living combination that includes a low maintenance deck and a custom backyard water feature. We’ll also explore additional hardscape options that work well with patios including an outdoor kitchen, outdoor fireplace or fire pit. We look at how much space you have and how many structural elements you would like to enjoy in that space. The primary design consideration for patios is whether you want to use manufactured pavers, natural stone or poured concrete. 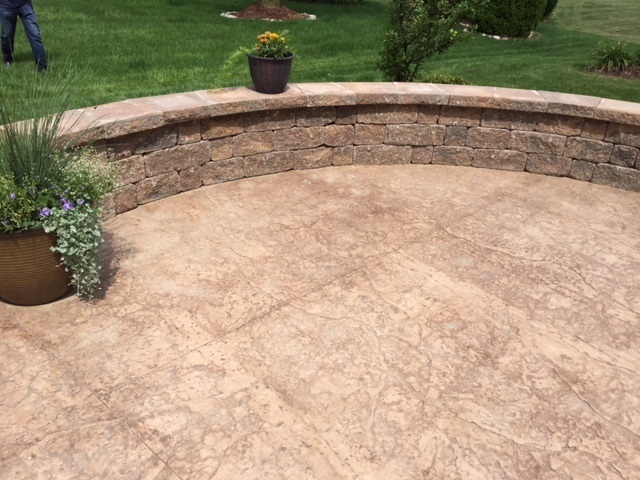 Not only does your selection set the tone for your outdoor living space – rugged or irregular versus smooth and symmetrical, for example – it also determines the project’s price range. We also need to know whether you want your patio to match the colors of other nearby materials in your outdoor living space. 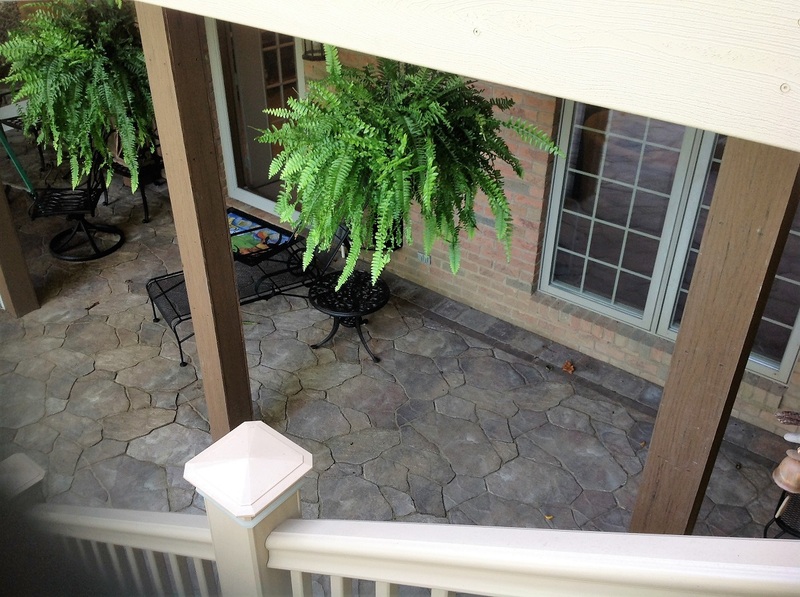 We can help you select patio materials to complement an existing deck or porch adjacent to your new patio. Sometimes that means matching the color of your low-maintenance, composite decking boards, and sometimes it means providing contrast from light to dark. There are so many styles of manufactured pavers available today it’s almost hard to talk about them as just one category. 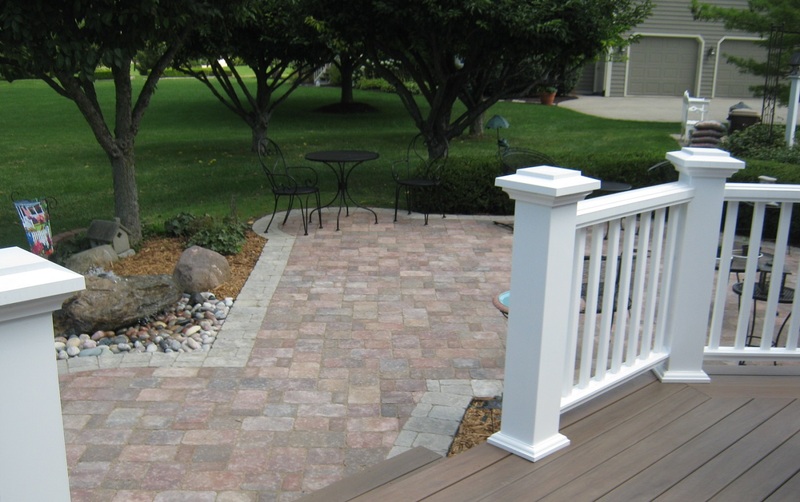 Pavers offer versatility and are the most durable patio material. We often work with Belgard pavers, which come in a variety of shapes, sizes and colors. You can select uniform pavers if you prefer a regular pattern instead of more random pavers that mimic the irregular edges of natural stone. We can combine different sizes of the same paver to achieve a mosaic-like pattern or work with only one size for a tight, traditional pattern such as herringbone. Some pavers even look like porcelain tiles but offer extra durability. 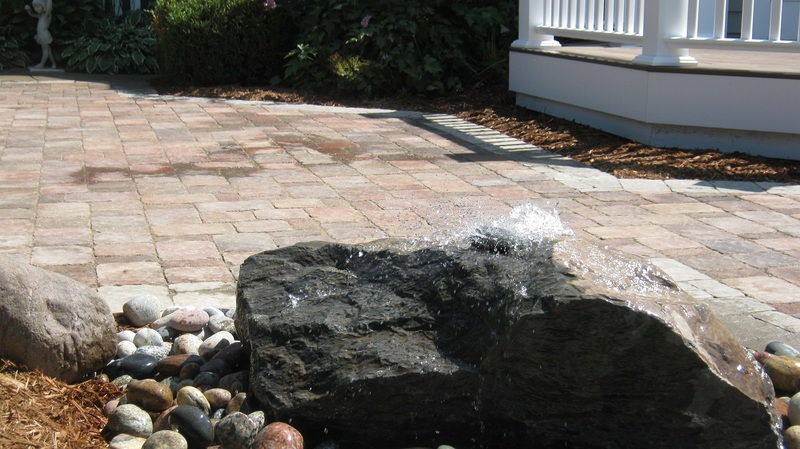 A growing trend is the permeable patio. We can design your permeable patio by spacing pavers to leave room for gravel in between them or by working with porous pavers. Most permeable patios include layers of gravel and sand under pavers. This kind of patio is popular because it’s so environmentally friendly. It also reduces the likelihood of standing water where mosquitoes could breed and algae could grow. It’s hard to match the beauty of natural stone. Are you naturally drawn to flagstone, bluestone or travertine? Natural stone is the more expensive patio material, but when you have a favorite kind of stone and you want to use it for your patio, it’s okay to splurge. 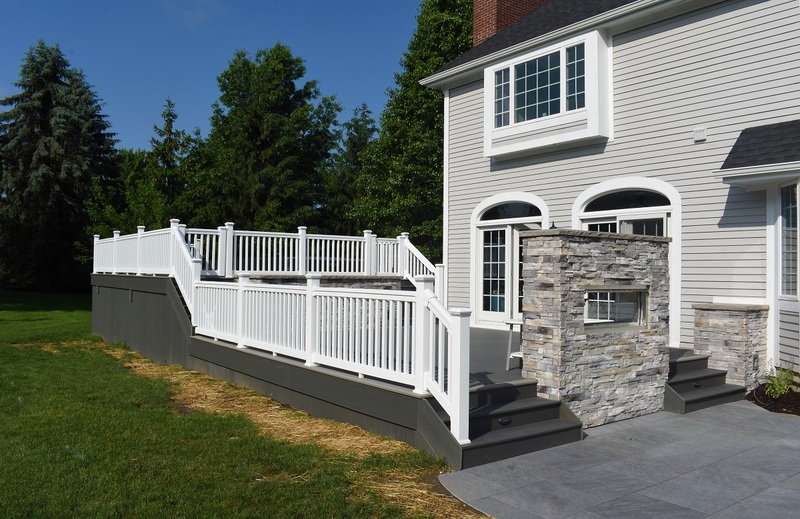 The patio will be part of your home and you plan to spend a lot of time enjoying it, so it’s extremely important to select materials you’ll love. 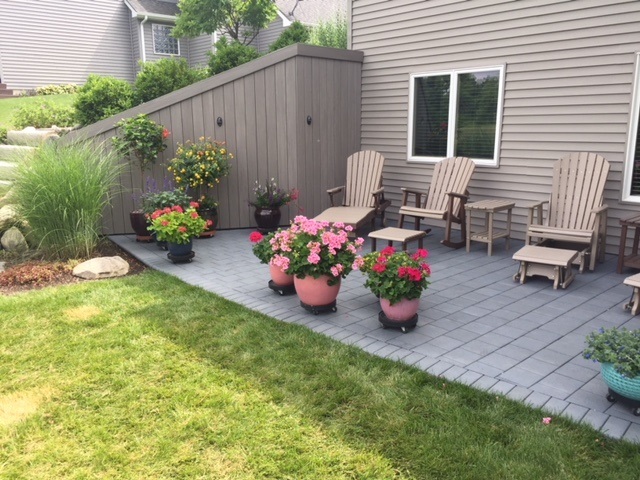 If affordability is your priority right now, Archadeck of Fort Wayne can design and build a stunning patio for you with a stained and stamped concrete design. Stain and stamp patios are popular because of the cost savings but also because of the design possibilities they offer. With an almost infinite range of colors and an array of stamp designs, we’re certain to find a look you’ll love. We can create a stain and stamp concrete patio that mimics granite or flagstone … you decide! 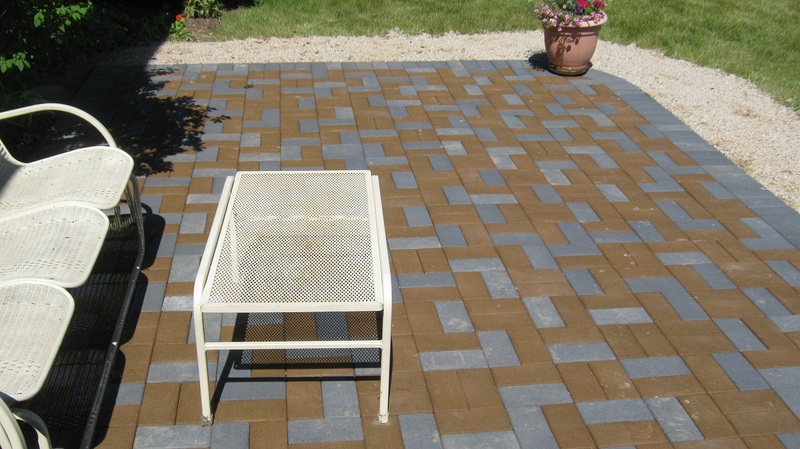 One way we can customize a stain and stamp patio is by mixing colors to get a custom color that’s just right for you. 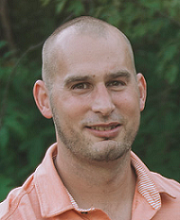 We can also add subtle variations in color by combining a base color with a secondary release color. If you haven’t seen a patio like that, and it’s hard to visualize, we can show you examples. We won’t tell you how to use your patio, we’ll ask you how you want to use it. If you enjoy entertaining outdoors, your patio should facilitate that lifestyle. An outdoor kitchen adds immeasurable functionality to a patio by creating an outdoor space where you have everything you need. 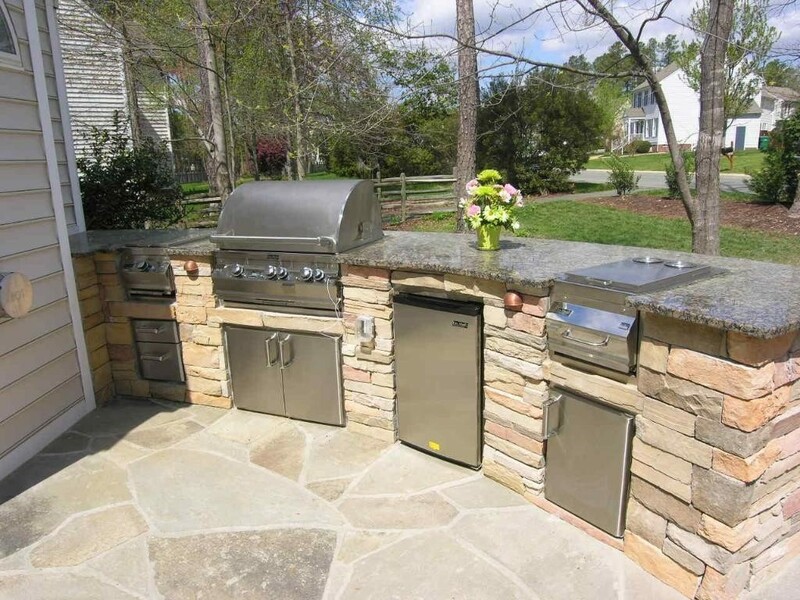 Whether you prefer a full kitchen with grill, smoker, griddle, refrigerator, sink, storage and prep areas – or just the basics – let us design the perfect outdoor kitchen for your home. An outdoor fireplace increases the sense that your patio is a refuge from the cares of the day. 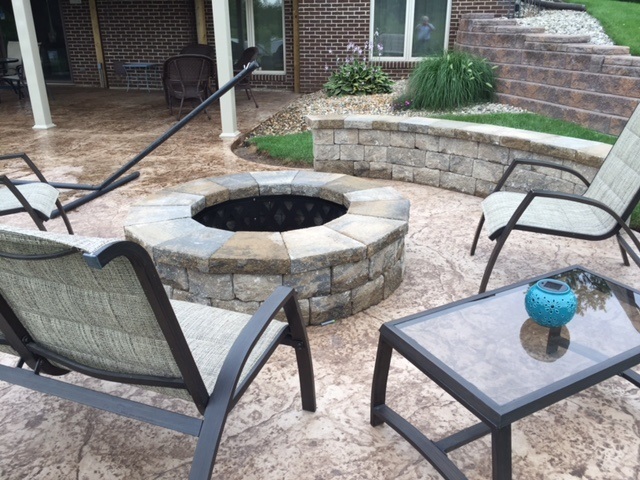 Archadeck of Fort Wayne can create that escape with a wood-burning or gas-burning fireplace. Combined with additional hardscape elements such as a retaining wall, pillars and steps, an outdoor fireplace can add a dramatic flair to your outdoor living space. If your space is limited and can’t accommodate a full fireplace, consider a fire pit. Any fire feature, large or small, creates a cozy patio setting and will provide family and friends with hours of contentment. 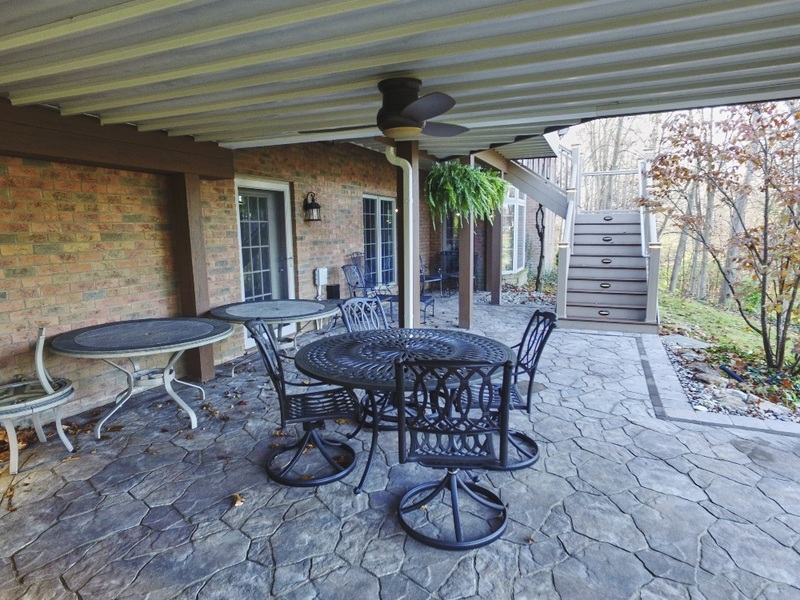 If you have a deck or porch and want to add a patio, we call that a combination outdoor living space – one that includes two or more structures. We find any combination results in a space that’s more than the sum of its parts. When you have more than one component you not only gain additional space, you have areas you can designate for lounging, cooking, dining, etc. Be creative! Mix and match the elements of outdoor living you enjoy most. 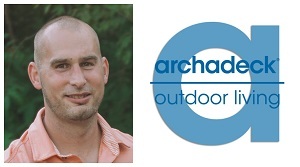 Archadeck of Fort Wayne is northeast Indiana’s premier custom patio designer and patio builder. Our hardscape designs are built to last and to love. 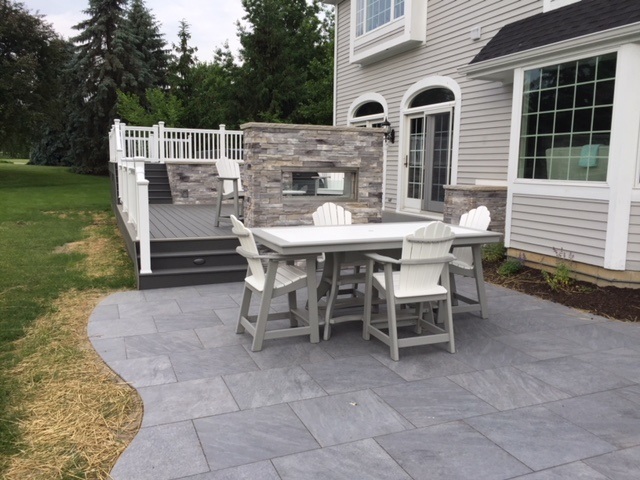 If you’re considering a patio – alone or in combination with other outdoor living elements – Call us today at 260-969-8663 or send us an email to get started! 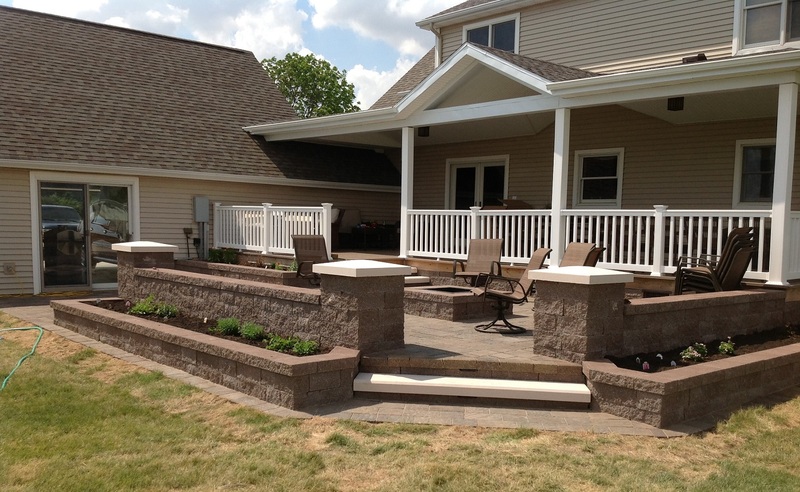 Visit our patio and hardscapes for more ideas!